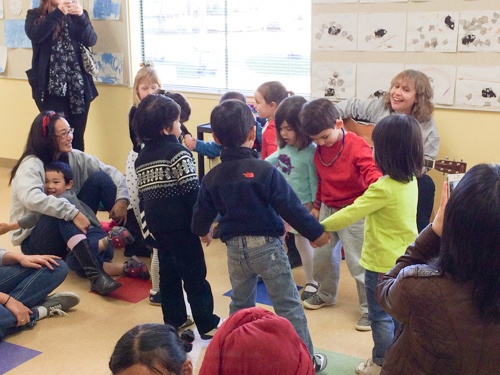 It was a happy, song-filled Friday at Harker Preschool on Dec. 20, the last day of school before winter break. To leave on a warm “note,” the youngsters held a sing-a-long, intended to become an annual tradition. The children sang a variety of holiday and other songs. The transitional kindergarten group performed first that morning, followed by the Acorn/Pebble cottages in the late morning and the Clover/Feather cottages in the afternoon. A good and musical time was had by all!